Business doesn't have much regard for geographic boundaries. With internationality shaping the operations of companies around the world, employers increasingly value candidates with a global mindset. Marco Vilardo began his career at Enel—an Italian multinational electricity company—as a business analyst based in Milan. But he always had his eye on roles with an international slant. This led him to undertake the International Part-Time MBA at MIP Politecnico di Milano. During his MBA, Marco enrolled in MIP’s international exchange program and spent three months at the Indian Institute of Management. After it, he got promoted, landing a new job as global sales manager for Enel Green Power, focusing on South Africa and Latin America. Marco then progressed to executive assistant to the company’s head of global infrastructure and networks, supporting him in the operational activities of a business employing over 28,000 employees in eight countries around the world. Now, he works at the European Affairs department of Enel in Brussels, covering regulations that might impact the company's strategy in Europe. Marco has rocketed up the corporate ladder since his MBA. Why? 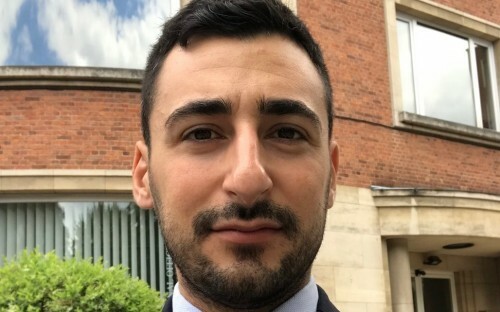 BusinessBecause caught up with Marco to find out more. I wanted to move from a national position to a global one, and to do this I needed to develop a more international mindset. At my work, my management team really appreciated experience in emerging markets. It wasn't just about improving my competencies—international experience as part of the MBA would show personal development. For my job, it was also necessary to keep up-to-date with management theories and know about latest developments in my technical work. The MBA doesn't just give you a general overview of what happens in an organization; it also merges soft skills with technical ones. When you learn about organizational behavior, for example, you're understanding how to create networks and manage work with colleagues—this can help you in the workplace. The exchange programs at MIP appealed to me. In India, adjusting to a different culture and business methodologies was challenging. For example, while in the US the curriculum might emphasize case studies, in India it stresses analysis of data. But the experience greatly improved my competencies and enabled me to think differently. I also knew that the international faculty at MIP was excellent. I interacted with professors and classmates from diverse countries. The standard of discussion was really high, and classmates with backgrounds from different sectors enriched the learning experience. How did the MBA at MIP prepare you for your current role? My current job is like a puzzle, and the MBA helped me understand different pieces that fit together to complete the picture. I have had roles in technical departments, management, and now in institutional affairs. The MBA at MIP enabled me to grasp how these different functions come together in companies at the global level. When I was assisting the head of global infrastructure and networks, the program helped me understand the rationales behind the decisions he would make. It's really amazing to see what you are learning being practiced in real time by top level executives. The MBA also provided exposure to new perspectives and innovations. I could compare my approach to issues with colleagues, and understand such issues in a more comprehensive way. You certainly need to focus more on specific topics after graduation, but the MBA signals to employees that you have a certain level of business acumen.